We are continuing to work on our new book about the Great Siege of Gibraltar. Generally, publishers specify a word length based on what is felt to be commercially viable and what the authors feel is appropriate. When doing research, we tend to find enough material to fill many volumes, but the trick is to cut it all down to produce something readable. For our Gibraltar siege book, we could easily wander off into countless digressions, leaving no space for the main story, but our newsletters do allow us to indulge in digressions galore – such as Coxheath Camp here. Gibraltar’s Great Siege was rooted in the American War of Independence. In early 1778 France sided with the rebel colonies and then in July declared war on Britain. The French tried to persuade Spain to unite with them against Britain and even offered to help capture Gibraltar. Eventually, in June 1779, Spain also declared war on Britain, and the Great Siege of Gibraltar began. While all this was going on, Coxheath was turning into an enormous military camp. 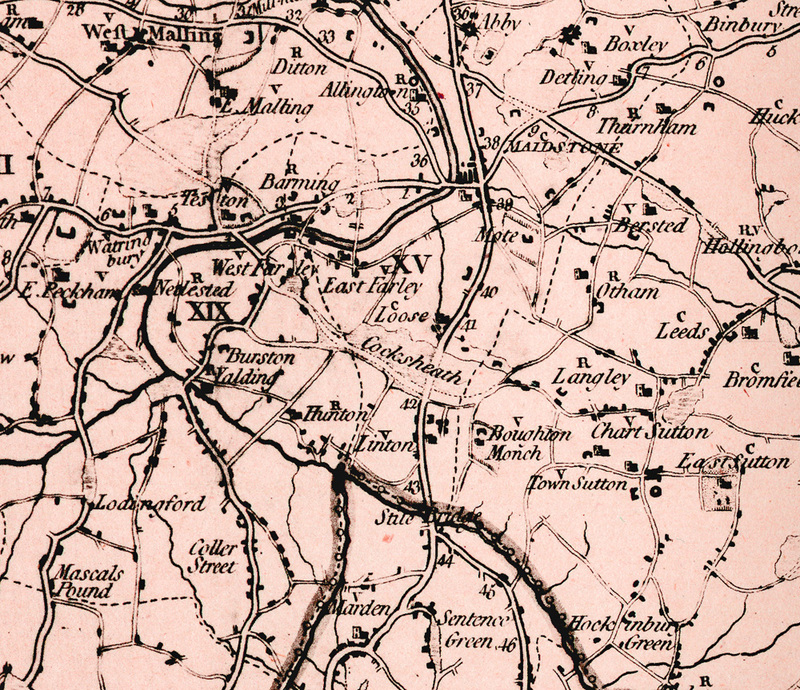 Coxheath – sometimes spelled ‘Cocksheath’ – was located just south of the town of Maidstone in Kent, some 30 miles south-east of the City of London. It comprised a stretch of wild heath land about 3 miles long and a mile wide that was used for a military camp at the start of the Seven Years’ War in 1756. From 1778, with the threat posed by France, Coxheath became well known as a massive military camp, established primarily to train raw militia conscripts in the use of weapons, so as to repulse enemy invaders who were so greatly feared. The camp was also intended to protect London, and a similar camp was located north-east of the city, at Warley Common near Brentwood in Essex. Having set the fashion for all the aristocratic women at the camp, who quickly had garments made that echoed army uniforms, the Duchess also organised them into a female militia. Apart from its propaganda value, the exercise did at least raise morale and amused the men in the camp. Throughout the summer of 1778, the newspapers regarded any occurrence at the camp as a potential news item. 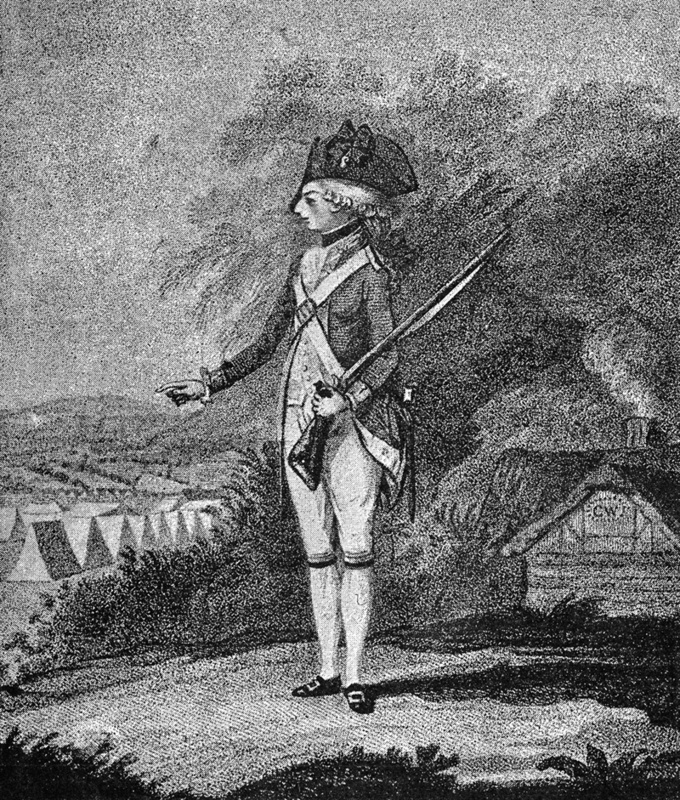 Several reviews of the troops were held, culminating in one in November that took place in pouring rain before King George III and Queen Charlotte. The soldiers were then gradually dispersed to winter quarters until the camp was re-established the following summer, a pattern that continued for many years. The camp acquired a reputation for bad conduct, indiscipline and scandal, all of which was avidly reported in the newspapers. Life in and around these camps was satirised in a play called ‘The Camp: A Musical Entertainment’, based on the Coxheath Camp and written by Richard Brinley Sheridan and Richard Tickell. It was first performed at Drury Lane in London in 1778 and proved so successful that it was staged in theatres across the country. A camp of some kind continued at Coxheath until the end of the Napoleonic Wars in 1815, after which the heath was enclosed by local landowners for agriculture. Nowadays the reputation of Coxheath is less scandalous, being the home of the World Custard Pie Championships. This entry was posted on May 27, 2017 by adkins.